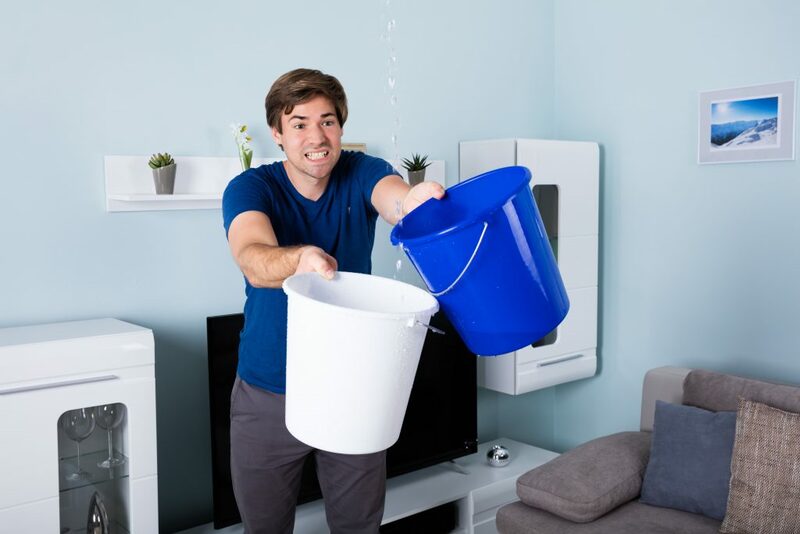 A leaky roof is a problem that many homeowners might be tempted to push aside for the time being. Unless it is raining, there’s not a lot of reason why homeowners should be concerned with fixing the damage. Considering the fact that costs associated with roof repair can be rather steep, it is natural to want to push it to the back burner until you are sure that you can afford the costs associated with the repair of your leaky roof. Unfortunately, even in mild weather, a leaky roof can cause serious problems that can shorten the overall life of the roof. These roofs usually last for 25 to 50 years and more with proper care, so this can be rather problematic. Moreover, if you address the problem as quickly as possible, the costs associated with the repair of a leaky roof don’t have to be as extensive as you might assume. For this reason, it is a good idea to get help as soon as possible. Leaks in the roof can create a humid indoor environment that will make dark, untouched corners of your home perfect for mildew and mold to grow in. Mold in the house can be a serious problem that not only damages the structural integrity of your home; it also contributes to causing serious complications to your health. Certain strains of mold are extremely toxic and can put you and your loved ones at risk. Black mold is toxic, and prolonged exposure to it can cause respiratory failure, nerve damage and has even death. Even if you don’t get toxic mold in your home, mildew can also be problematic by triggering allergic reactions and skin allergies. These occur because mould releases spores into the air, which you then come into contact with. Getting rid of mould is not only a time-consuming process, but a costly one as well. A leaky roof allows water to seep in again and again. To get rid of mold, you will have to fix the roof in order to properly address the problem. Infestations in homes aren’t always frequent but in warm climates such as Brisbane, they can occur, particularly if you home has damp corners. Leaky roof can let in enough water to create a humid environment indoors and attract pests like gnats, termites, cockroaches and fruit flies. It also provides them with the best environment to breed so a fly or two can easily exacerbate into a full-blown infestation by the time you find out about it. Again, prevention is better than the cure here. You will have to fix the leaky roof to ensure that the infestation doesn’t occur again. Insect infestation is a huge problem since they usually do breed in deep, dark corners of the house. From the roof, the easiest place that the insects can access is the attic. Considering that most attics are not disturbed or frequently visited, they have the perfect site to breed and multiply as freely as they want. When you do catch on to the presence of these pests, it can require intense fumigation to get rid of these mosquitoes properly. By fixing your leaky roof as soon as possible, you can bypass this problem with ease. 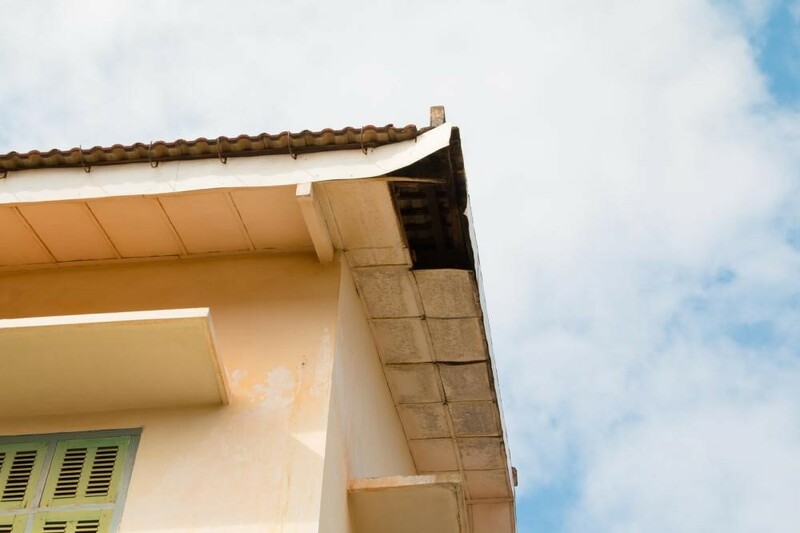 Structural damage is usually something that most homeowners think can occur because of natural disasters or when the house is finally beginning to feel its age. On the other hand, certain factors can also contribute to early structural damage and one of the culprits is a leaky roof. Based on where the leak has occurred, water can slowly seep down and either gets absorbed by wood or by concrete. While these are not extremely porous materials, they do have a capacity to absorb a certain amount of water. Once these materials are overly saturated, they begin to lose their strength and their ability to retain the same shape. Wooden beams and planks, frames and more can start to go soft, warp and lose their strength. Even concrete walls and foundations can begin to crack and soften with constant moisture being introduced to them through a leak in the roof. This also causes danger to the overall structural integrity of the roof. If the supports start to weaken because of the leak, you face a real problem of the roof caving in, warping and fitting improperly and more. Getting the leak addressed as soon as possible can also help you to minimize the overall damage that is caused by a leaky roof. 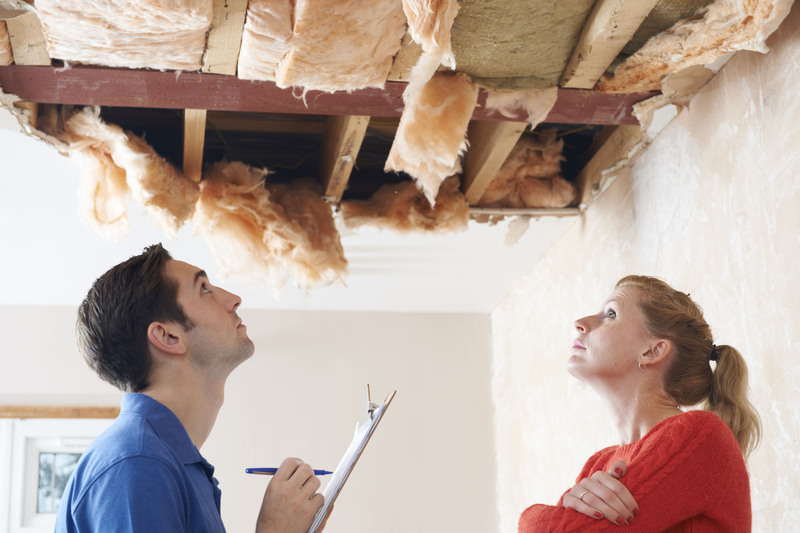 A leaky roof can also affect your insulation. This is an issue that can become seriously problematic on the fact that many people don’t check on their insulation as much to be able to detect whether it is experiencing any problems. Depending on the type of insulation you are using, excessive moisture can really harm its ability to function. Insulation can absorb water and then begin to clump. This causes it to be less efficient and even if you don’t see it, you will begin to feel its impact. Clumpy insulation also serves as a breeding ground for mould and even pests, if they are in the area. The damp clump starts to decompose and usually the only sign of damaged insulation can be a sudden drop in the effectiveness of the HVAC system as well as a dank smell that only occurs when mold is growing in the house. Getting damaged insulation replaced can also be a lengthy and costly endeavour since it requires ripping out the insulation and getting new insulation installed. Again, getting a leaky roof fixed is more cost-effective than having to deal with damaged insulation as well as mould in the house. Water and electricity don’t always react well and because of its conductive nature, water near electrical appliances is never a good idea. With a leaky roof, you cannot control where the water is seeping into your home. Water can sometimes drip down to the electrical box or to other areas of the house where there is electrical wiring. Water can also easily drip inside a junction box that houses different, exposed wirings. Once water comes into contact with electrical wiring, you can end up blowing a fuse or require proper grounding. In some cases, it isn’t that simple because water in the wiring can cause sparks to fly or an electric charge to go up the wire that can cause serious damage to anyone who comes into contact with it. The sparks caused can also contribute to causing a fire in the house. For this reason, it is necessary to not only identify a leak as quickly as possible, it is also necessary to ensure that you turn the electricity off while repairs are being conducted. Based on the damage that occurred, you can also end up having to call an electrician to repair the wiring in your home. Constant exposure to water caused by a leak can cause serious damage to the area. In many cases, it increases the chances of the material decomposing and rotting. 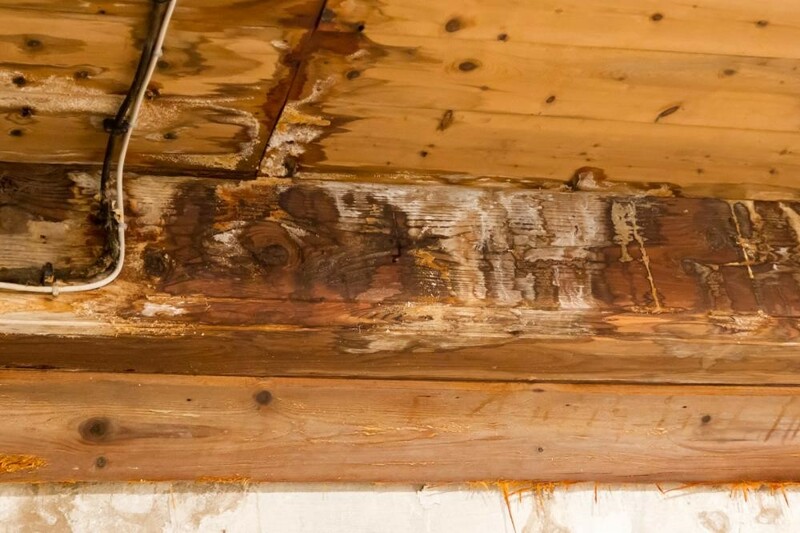 Rotted wooden plans, dry wall and other materials can be extremely problematic as they also contribute towards harming the structural integrity of the house. Also if the wooden frame of the roof begins to rot, you face a lot of problems since the roof can cave in and fall down at any time. Areas where the wood is directly exposed to water can also be problematic. In such a scenario, wood can weaken to a point where it becomes soft and spongy, making it difficult to bear weight. This can even result in situations where your foot goes through the plank or the wall because of this factor. Fixing leaks and getting the materials replaced is necessary because that is the only option to fix this. If left unchecked, the rotting can travel on to cause serious structural damage which can be more problematic fix. A leaky roof can also contribute to causing significant water damage to the walls of the house. This can include water stains on the painted walls or even the wallpaper. 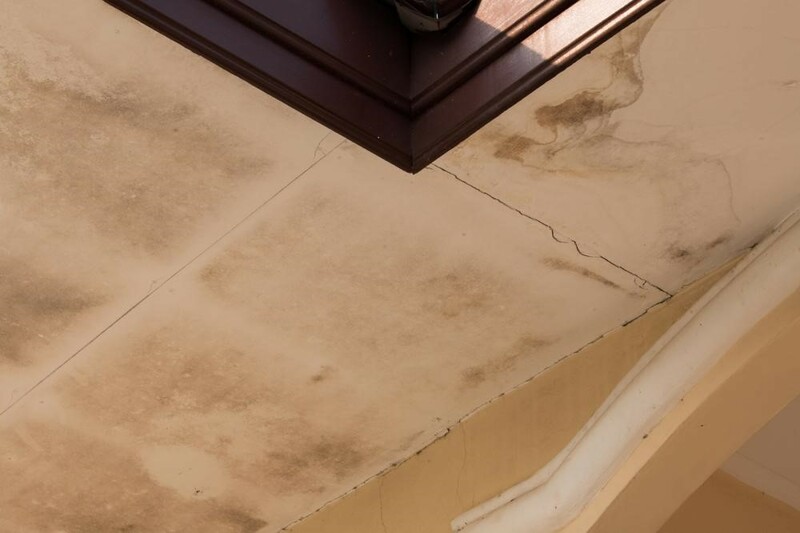 The water stains can occur continuously every time the roof leaks and then dry, requiring you to paint them again and again to get rid of them. 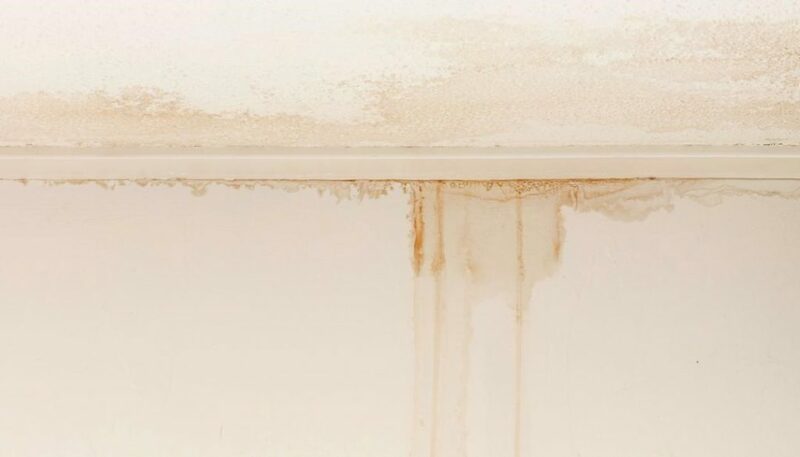 Dry wall can also begin to crumble because of the water damage that is occurring. The problematic part is that when there is wide spread water damage on the wall, homeowners usually tend to chalk up the culprit to faulty plumbing problems. However with a leak in the roof, the widespread water damage can be harder to identify. For this reason, you need to get your home checked. Once you know that your roof is leaky and has contributed to the damage, you can then begin to fix it. In many cases, ensuring that your roof is perfectly healthy and has no leaks can go a long way in reducing the chances of widespread water damage occurring. A leaky roof might cause damage to other areas of your home but the first place where it starts to do the initial damage is the roof itself. This means that before the water damage travels down to other areas in the house, the roof frame and the materials are in serious problem. In the case of metal roofs, a leak in the roof could mean that water is getting into the seams, the bolts and other areas. This can cause rusting and cause the roof to deteriorate and get weaker. 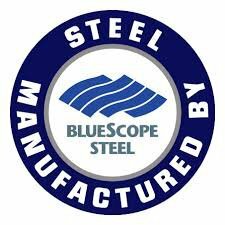 In some areas, it can even make rust spots to appear that are difficult to fix properly. With wooden roofs, the damage done can be extremely problematic since there is a chance that the frame is deteriorating and cannot hold up the weight of the roof with ease. In other situations, it can also cause problems in the shingles and the tiles that are placed on top of the roof. In extreme roof damage cases, water can even cause the roof to roof frame to swell, ruining the seal or the fix of the roof. This increases the chances of the roof falling or doing more damage. For this reason and the different major problems mentioned above, it is a good idea to pay attention to any excess water in your house. While the presence of moisture in your home can also be linked to other areas, it is a good idea to check the roof and ensure that a leak in the roof is not causing it. When you want to fix leaks in your roof, it is a good idea to ensure that you work with the experts. With their help, you can elongate the life of your roof and make use of materials that are high quality and will last. If you are looking for a good roofing professional in Brisbane, get in touch with OzRoofWorks. As a licensed roofing company, our professionals are trained to handle any roof repairs and replacements you might require. From metal roofs to wooden frames, hybrids and more, you can rely on us to meet all your roofing needs. For more information regarding our professional roofing services, please visit our home page or give us a call on 1300-459-915 or 0410178007 to speak to one of our professionals. You can also drop us an email at info@ozroofworks.com.au or fill in our online form to get a free roof consultation from our roofing experts.